Club Penguin Cheats by Mimo777 Club Penguin Cheats by Mimo777: New September 2010 Club Penguin Snow & Sports Catalog Cheats! 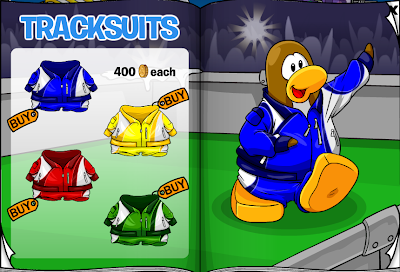 New September 2010 Club Penguin Snow & Sports Catalog Cheats! Step 6. First click on the blue cheerleader's beak. You have now found the Blue Sneakers cheat! Step 7. Stay on the same page. Step 8. 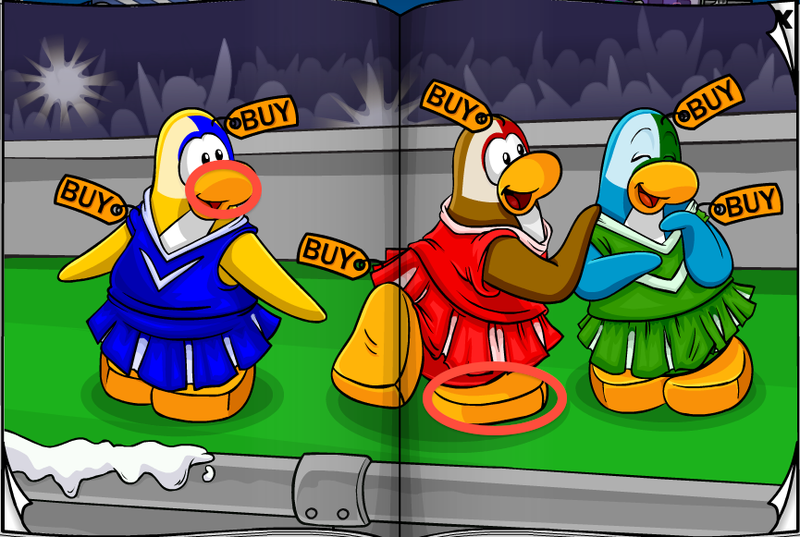 Click on the red cheerleader's foot. 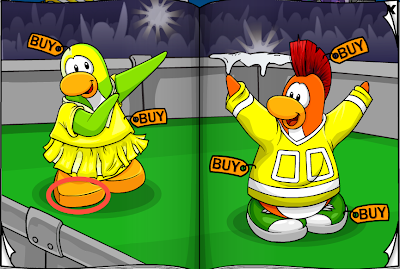 You now have the Red Sneakers cheat! Step 9. Go to page 2. Step 10. Click the yellow cheerleader's beak. You now have the White Pom Poms cheat! Step 11. Stay on the same page. Step 12. 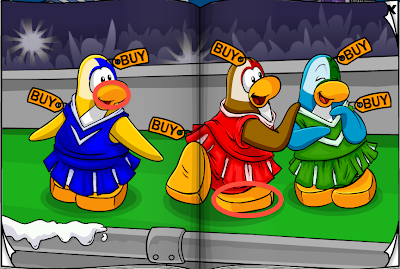 Click on the yellow cheerleader's foot. 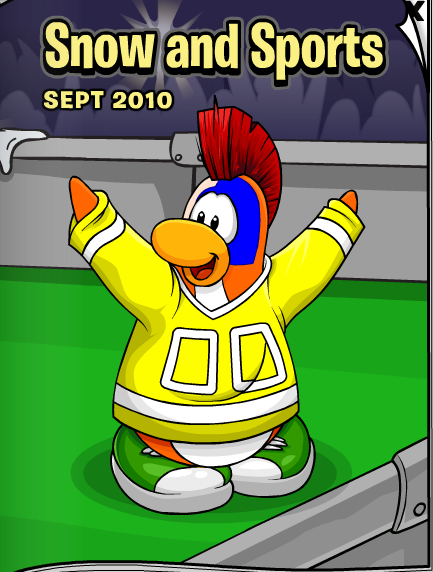 You now have the Yellow Sneakers cheat! That is all the cheats! So glad there were a few more this time. What do you think about all the cool sports gear? How 'bout that Team Yellow!? Yeah I saw yellow is pretty good. I love the new stuff. AWESOME. LET'S GO GREEN TEAM, LET's GO!! I agree! Your name is really cool too! I guess I've missed lots of new people while I stopped modding! I just realized tht when you where the track suit it actually makes you walk a bit faster, it may just be me but i think so! I have club penguin game day too!its awesome!YOU MUST BUY IT! Hey mimo! what is you favorite team? mine is green. GO GREEN!